The great Hong Kong director Wong Kar-wai's eagerly anticipated film The Grandmaster is his first film in six years, and a thrilling return to genre filmmaking that retains his unique personal style. Reinvigorating the martial arts movie with inimitable aesthetic grandeur, The Grandmaster features outstanding performances by Tony Leung and Ziyi Zhang. 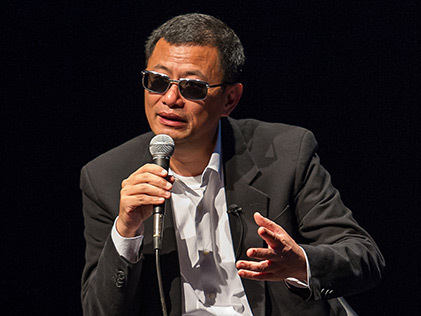 Wong Kar-wai discussed the film after a special preview screening, part of a complete retrospective of his feature films.